Individual products need help grabbing attention in the visually crowded space of a trade show floor. Unique product displays provide a solution that give your products an extra visual appeal that brings attendees out of trade show aisles and into your booth. Great product displays include design features that fit the overall aesthetic of the exhibit while incorporating elements that best show off the product it is built for. The design and build stages of these displays are excellent opportunities to express creativity while keeping in mind your marketing goals. Success depends upon the development and execution of a proper design for each product display, which in turn helps your company get the most from it’s trade show experience. The following product displays are designed and built by the mackenzie EXHIBIT team and are great examples of ways to show of a product that are both creative and effective. 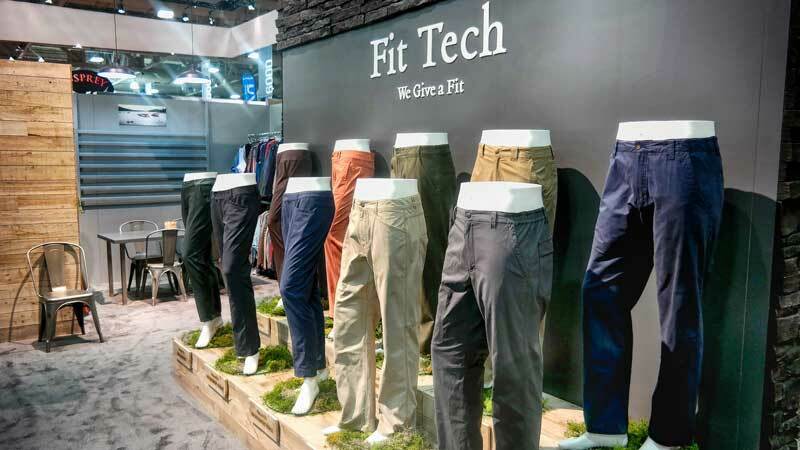 For a company that specializes in enduring, outdoor clothing, a display design was needed that reflected the brand and the consumers that purchase those products. In this case, proper product display starts with elements that focus on the rustic outdoors. 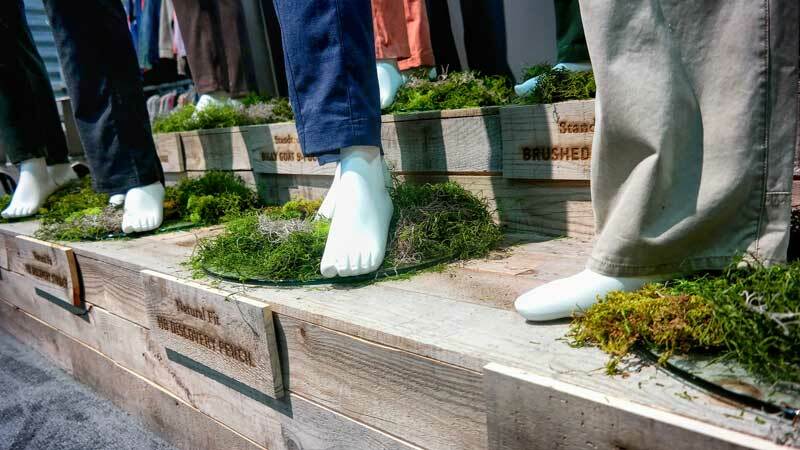 The use of raw wood on exhibit walls and risers, together with tufts of grass accentuate the outdoor enthusiast the Royal Robbins brand caters to. At the same time, the use of laser etchings with a burned finish provides a subtle touch of rugged sophistication to the overall display. From a product placement and exhibit design standpoint, the use of precise riser placement puts the second level of mannequins high enough so the products remain visible, but not so far as to be out of reach. Each mannequin is also precisely spread across the display’s width to avoid being either too cramped or too thinly spaced. Overall, both the placement of the products in a professional manner and the combination of rugged, yet sophisticated design elements reflects the brand as a whole and the product in particular. Success doesn’t always require a sophisticated combination of elements. This Scott Sports display shows off the value of simplicity in tradeshow exhibit design. The display features clean, white shelves and display cases, allowing the individual products to speak for themselves. A lack of additional, distracting elements enables the viewer to focus solely on each individual product. For example, even the supporting structures of the exhibit scream simplicity. 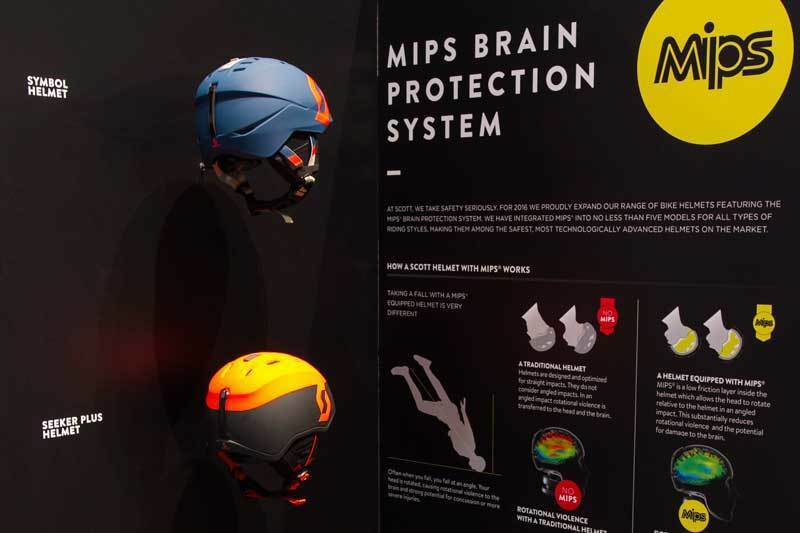 The helmet featured in the product display seems to float effortlessly, while its black, matte finish helps it standout in a sea of white display backgrounds. In this case, simplicity of the product display amplifies the superior design of each product, rather than overshadowing. 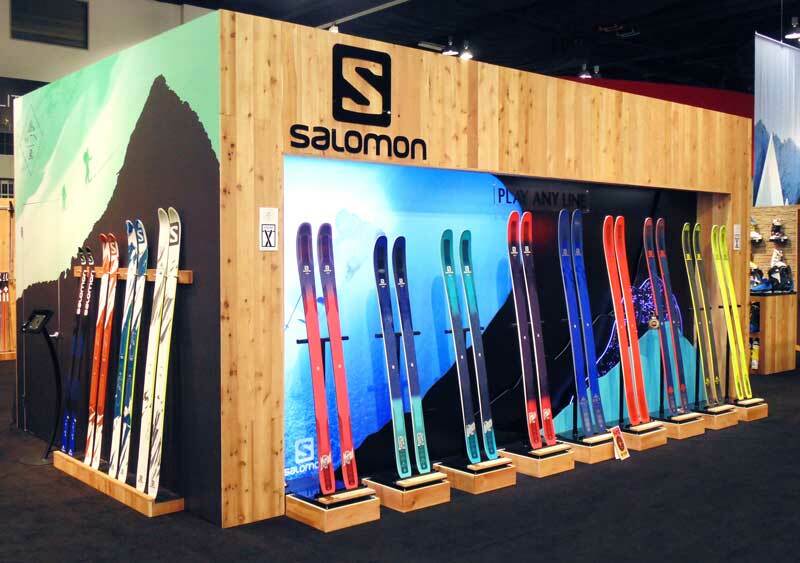 Yet another, different, example of excellent product display is that of Salomon ski gear. This display piles excitement on top of an already exciting product with the use of strong lighting to draw attention to the products, graphics that contribute to the overall exhibit theme, and dimensionality provides balance between product and exhibit display. For example, the skis and background graphics have balanced lighting that focuses attention equally on both facets of the display, preventing one factor from over powering the other in the viewer’s mind. 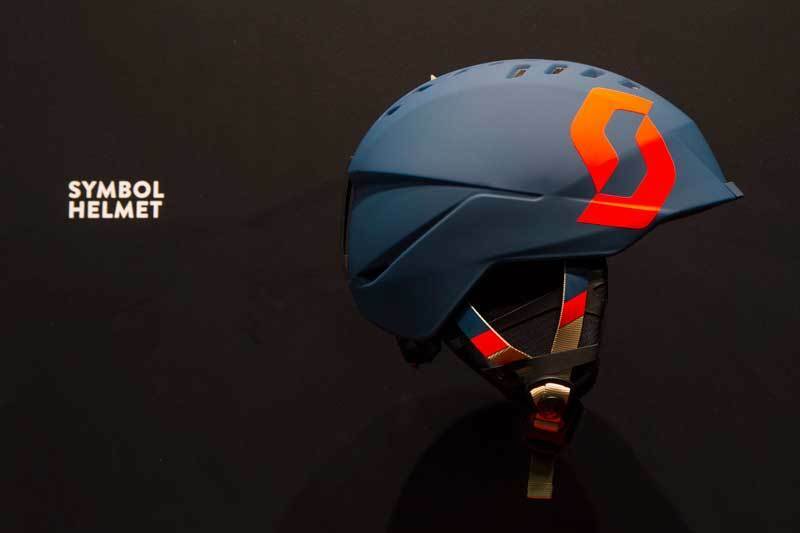 The skis alone would not capture the imagination, so the graphic catches the eye and pulls in the viewer, enabling the customer to focus in on the product’s design. Depth is created by placing the skis out front of the graphics, with the lighting helping to separate the skis from the background graphics to further a sense of dimension. Product display is vital in many different ways, and each tradeshow exhibit requires a custom approach that works best for a given product. In the Royal Robbins example, the entire display exhibit is meant to complement the brand and product, while the Scott case shows that a strong product should be left to stand on its own with the assistance of subtle, simple design elements.